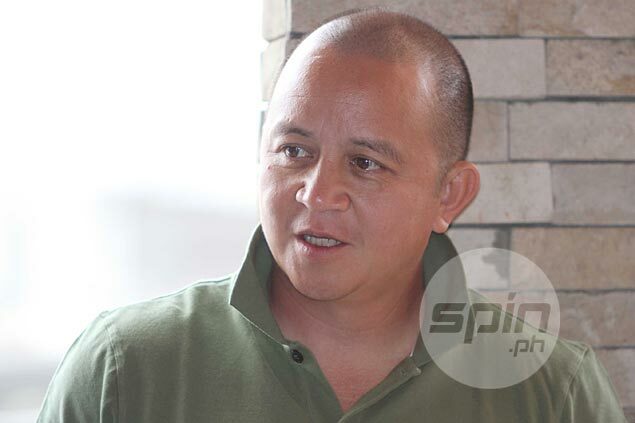 WHILE acknowledging that the Philippines is “generations away” from World Cup glory, national women’s football head coach Ernie Nierras believes he has the team that could make the 16-team field in 2015 and pave the way for future Cup contenders. “My expectation is to make it to the World Cup,” Nierras said on Tuesday. “I mean we’re not telling you we’re going to win the World Cup. We’re generations away from doing that. With arguably their strongest lineup ever, the Malditas try to step out of the shadows of the Azkals when they begin the quest for a World Cup berth later this month in the Asian Football Confederation Asian Cup Qualifiers in Bangladesh. Grouped with Thailand, Iran, and the host country, the Filipina booters hope to make an impression in their maiden stint in the qualifying round. Only the winner will gain entry to the main tournament next year, with slots to the World Cup at stake. The 2015 Women's World Cup is set Canada. With a bevy of US NCAA Division 1 players at his disposal, Nierras is upbeat on the chances of his team, ranked 83rd in the world among over 170 football-playing nations. In particular, Nierras expects Marisa Park to play a key role on offense, while he is banking on a backline anchored on Catherine Barnekow, Sarah Cook, and the coach’s own daughter, Samantha Nierras. Heather Cooke, another standout defender, is still in the US for a previous commitment, but is part of the 26-woman lineup. The squad’s strength, though, lies in the midfield, according to Nierras, who will implement the same 3-6-1 formation being used by United Football League squad Stallion, which he also handles. Skipper Marielle Benitez, Natasha Alquiros, Isabella Fernando, Christina delos Reyes, Patrice Impelido, Aisa Mondero, Inna Palacios, JoEllen Deleon, Joana Houplin, Monika Lee, Katherine Lim, Rachel Nichols, Shelby Salvacion, Jesse Shugg, Maria de la Cruz, Camille Wilson, Megan Jurado, Raylene Larot, Morgan Brown, Chalise Baysa, and Maria Shipe complete the roster. The Malditas are in the midst of an almost three-week training camp in the country as part of their final preparations. They face Thailand on May 21, Iran two days later, before taking on Bangladesh in the last day of the competition.